High-quality t-shirt featuring the one and only Popeye the Sailor Man. Wear your favorite comics and cartoons! Popeye Face T-Shirt. 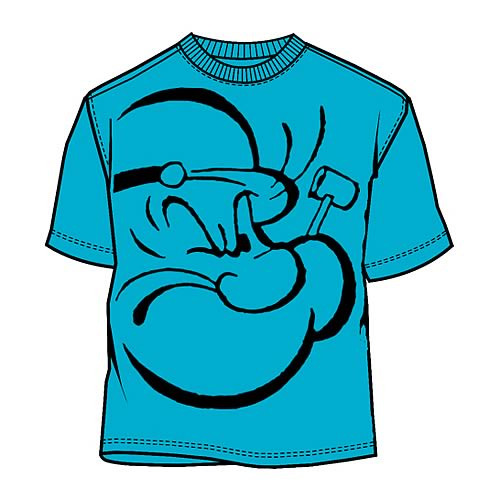 Muscle up just like Popeye with this 100% cotton, high-quality turquoise t-shirt. Machine washable. Order yours today!